The Power Lies Beneath! When the Toa are exposed to the strange energies of protodermis, they are transformed into the mighty Toa Nuva! With new powers, new armor, and new tools, the Toa Nuva are fully prepared for any threat to their island home. 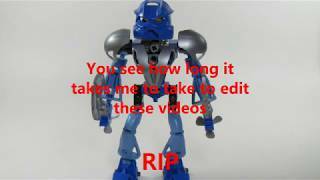 But will the power of the Toa Nuva save Mata Nui… or shatter it forever? The ultimate undersea power! 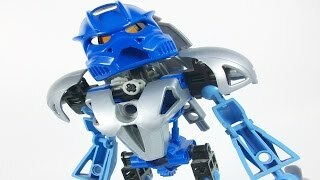 The most agile and acrobatic of Mata Nui's heroes, Gali Nuva lives under the sea and uses her powers to protect the island from Makuta's servants. Her aqua axes help her clear the toughest underwater obstacles, and can even be used as fins! Turn the wheel on her back to move her arms.